As we head into advent and the Christmas season, we see the days get darker and greyer. We try to bring brightness back into our lives by adding candles around the house, by festooning every dark corner and tree with twinkling lights and with times of gathering together in celebration. For some the advent season is a time of joy and expectation of the coming celebrations, but for others it is a time that dwells in darkness, when worries come to the surface and loneliness becomes a constant companion. Yet into all of this one symbol speaks of hope, of peace, of joy, of love and of the Messiah whose birth we celebrate – Light. The light in the darkness. 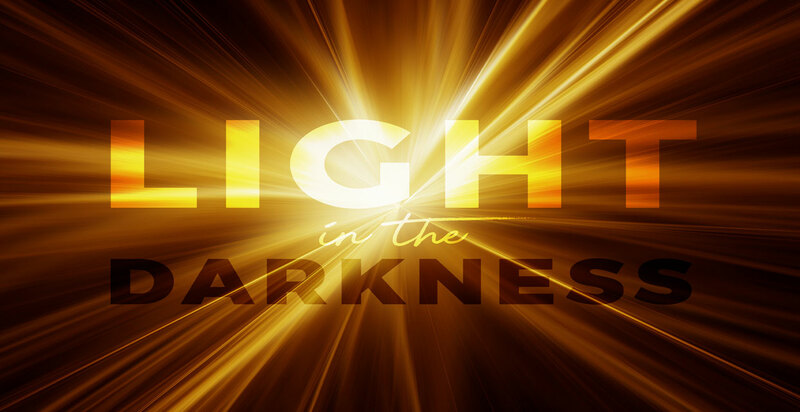 Over this Advent season, leading towards our celebration on Christmas day, we’ll be thinking about this powerful symbol and how Jesus Christ, Immanuel, was born to be the light in the darkness, he is the light in the darkness of our own lives, whatever our circumstances, and he is the light in the darkness of the world. This advent season we invite you to join with us as we celebrate the birth of Jesus the Messiah, and to consider how he, born over 2000 years ago, might be for you the light in the darkness both at this Christmas time and for the whole of your life.